Google is ready with its annual hardware event 'Made by Google', where it will unveil the third generation of its Pixel smartphones along with some other devices. Google is ready with its annual hardware event 'Made by Google', where it will unveil the third generation of its Pixel smartphones along with some other devices. Along with the Pixel 3 and Pixel 3 XL, a new Pixelbook 2, Pixel Slate tablet, an improved Google Home Hub, and a Chromecast update are expected to take the stage today. Talking about the upcoming Pixel smartphones, not much remains under cover as both Pixel 3 and Pixel 3 XL have been seen in various leaks. The Pixel 3 XL was even available on Russian black market for a while, months before the Made by Google event was even announced, and was recently being sold by a Hong Kong retailer days before its launch. Detailed reviews followed and we kind of know everything there is to know about the device. The biggest change in the Pixel series of devices has been with their screens. The screens have been changed to keep up with the recent trend of taller screen aspect ratios. While the Pixel 3 XL does keep substantial bezels at the top and the bottom, it has a taller screen than the previous iterations in a similar footprint. The bigger Pixel 3 XL, on the other hand, has been seen with a notch which is too tall to be liked by anyone. Both devices are most likely to come with the Qualcomm Snapdragon 845, a single rear camera, dual front camera setup, and maybe even some new colour schemes. However, a tweet by Google mocking the leaks, as well as some earlier reports, have put some doubt over the correctness of all the leaks we have seen so far surrounding the Pixel 3 and Pixel 3 XL. Guess we will have to find out ourselves. The event will start at 8:30pm IST. 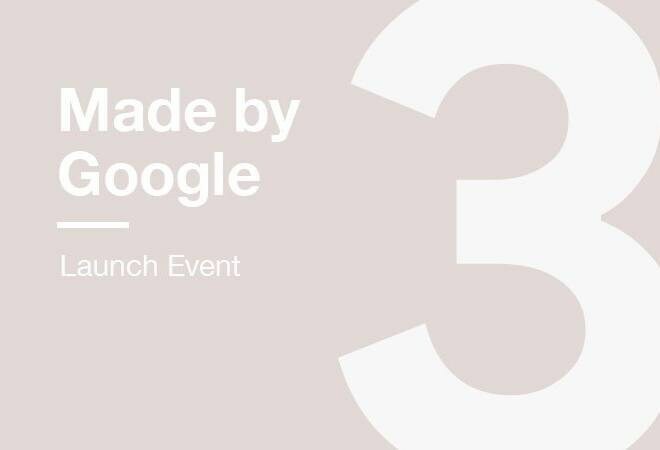 The Made by Google event will be streamed live on YouTube at the event's official channel. For live tweets, you can head over to the official Twitter handle of Made by Google. You can catch the latest developments and stories from Made by Google here at our website too.